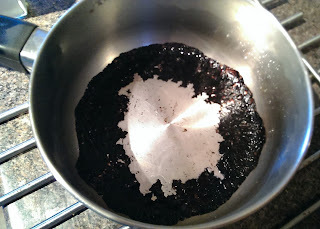 During a recent batch of jam making, I got slightly distracted and ended up with a burnt saucepan - oops! The jam was fine, but the pan was certainly worse for wear.... Luckily the lovely people of Twitter came to the rescue with some great tips.... it seems like I'm not the first person to do this! All that was needed was to add water and washing up liquid to the pan, boil for a while and then leave to soak overnight. It's important to resist the urge to scrape the pan as the burn bits will just float off. The next morning it had worked! 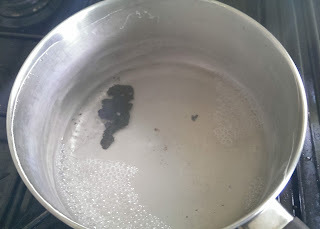 There was one little stubborn bit left so I added some bicarbonate of soda and vinegar then boiled for a bit more. 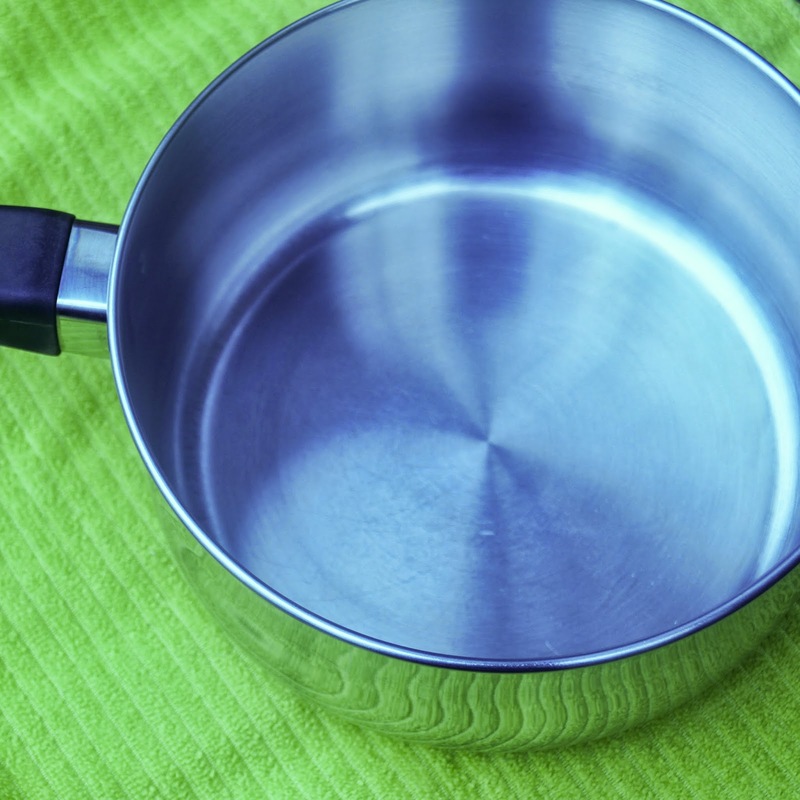 The result.... a clean and shiny saucepan!! 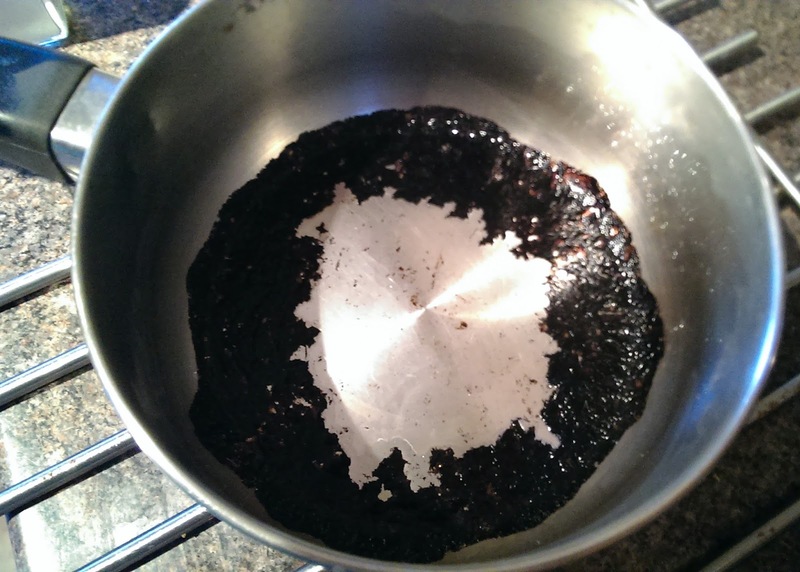 I'm sure this won't be the last time I burn a saucepan, so am glad I know what to do know! 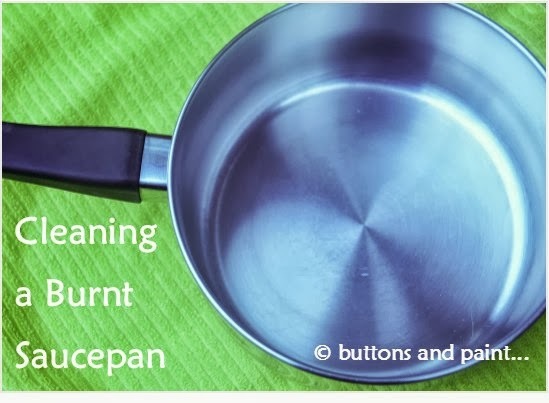 Have you got tips on how to clean your pans?! This is a great tip! I get distracted while cooking too.